This meal (which we had for tea tonight) is quite delicious. I added only HALF the water on the directions, making roughly one litre of soup – I have an 1100ml pot – a good quantity for two. 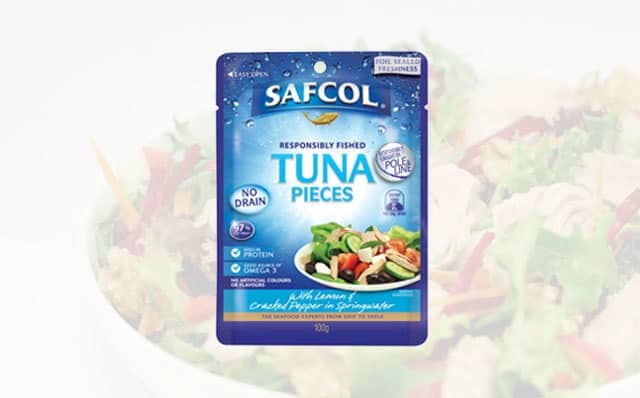 You need to simmer for approx 15 minutes, after which I added two sachets of Safcol tuna (as above) stirred it in and waited fro the soup to come back to the boil. Done. 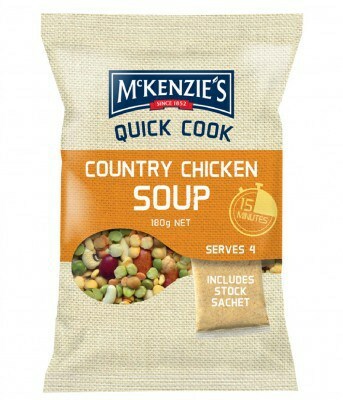 Next time I would add only ½ of the Mackenzie’s flavour sachet at the beginning, adding some more near the end if it needed more salt (it was a little saltier than we like with the whole sachet). You could (as usual) add some Surprise Peas and some Deb Mashed Potato to thicken if desired. The soup was quite delicious just as it was though, and would taste even better on a cold night in the backcountry sometime (soon!) 2456 kilojoules in the soup and 1056 in the tuna = 1756 each or roughly 440 calories. I usually have something like 30 grams of Mrs May’s Almond Crunch for an entrée (650 kJ), a cup of Jarrah Hot Choc Frothy Classic (45 kJ) and perhaps a Carman’s Muesli Bar for dessert (698 kJ); Total 3149kJ (787 calories) – plenty enough for a growing boy!